The second major earthquake to strike Mexico in less than two weeks has caused catastrophic damage in the country’s capital. The magnitude 7.1 temblor started at around 1:15PM — cracking highways, collapsing buildings, and, so far, killing more than 50 people. Mexico sits at the boundary of three tectonic plates: the Cocos plate, the North American plate, and the Pacific plate. Mexico City is especially prone to severe damage because of the ground it sits on — an ancient lakebed that quivers like jello, Bellini says. When earthquake waves pass through it, it jiggles, magnifying the vibrations. “So the reason that Mexico City seems susceptible to more damage is because of this amplification effect of the lake bed,” Bellini says. Unlike most natural disasters, there’s no way to predict or forecast earthquakes. 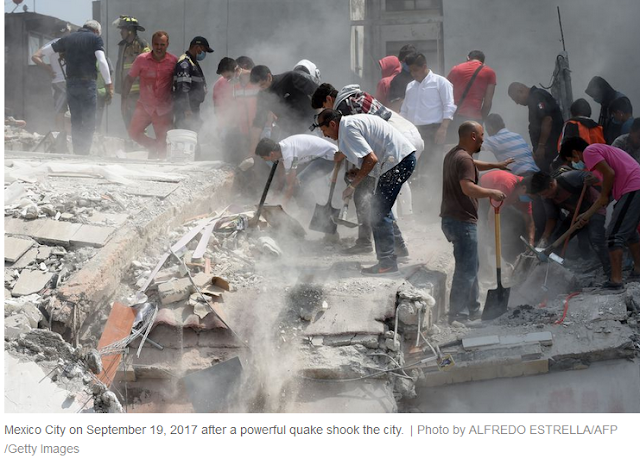 That makes preparation way more important, whether it’s through building codes or earthquake drills like the one Mexico City conducted earlier today. Though it is tempting to be lulled into complacency during seismically quiet periods, planning ahead is still the only defense for earthquakes.